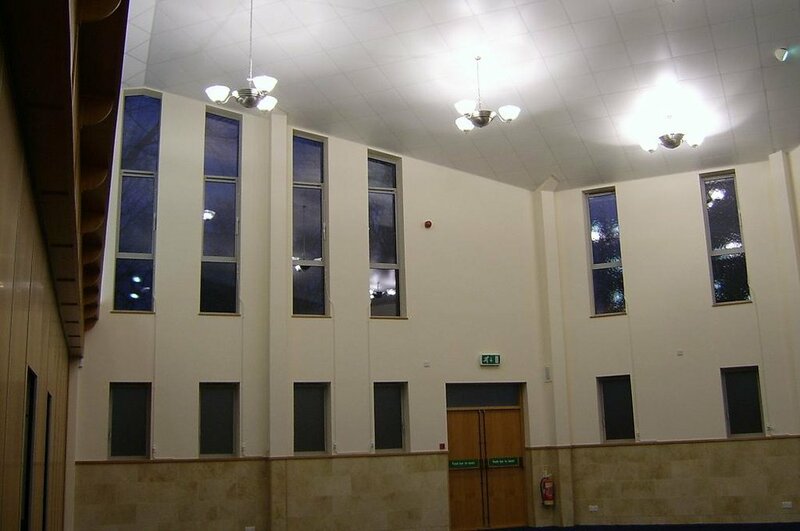 Principal Contractor / Main Contractor for a new build synagogue incorporating a faceted ceiling designed for the best possible acoustic performance. As a construction company based in West Yorkshire, we primarily undertake construction contracts in Leeds, Bradford, West Yorkshire, North Yorkshire and Lancashire. View from the ladies gallery showing the faceted ceiling designed to achieve the best acoustic performance. External view of the synagogue. 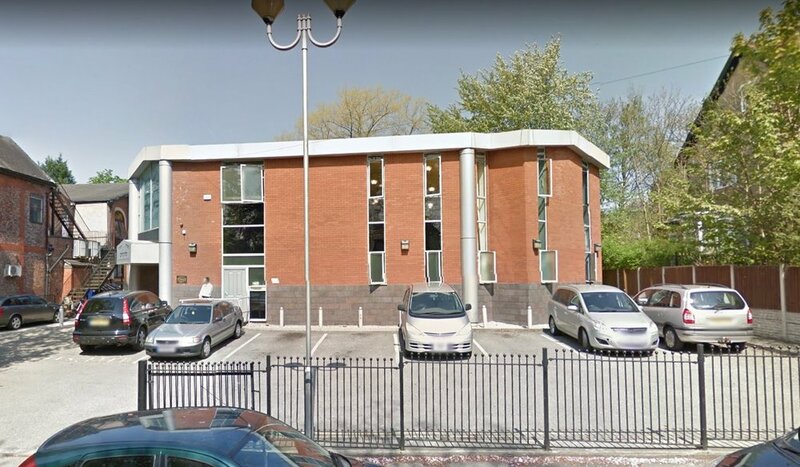 Over the years we have been involved in numerous faith projects in the Manchester area and as a consequence we were invited to tender for a new build synagogue comprising of a large worship area, study / school rooms, mechitzah, offices and kitchen areas. The design of the building incorporated a faceted ceiling which was specifically designed to achieve the best possible acoustic performance. 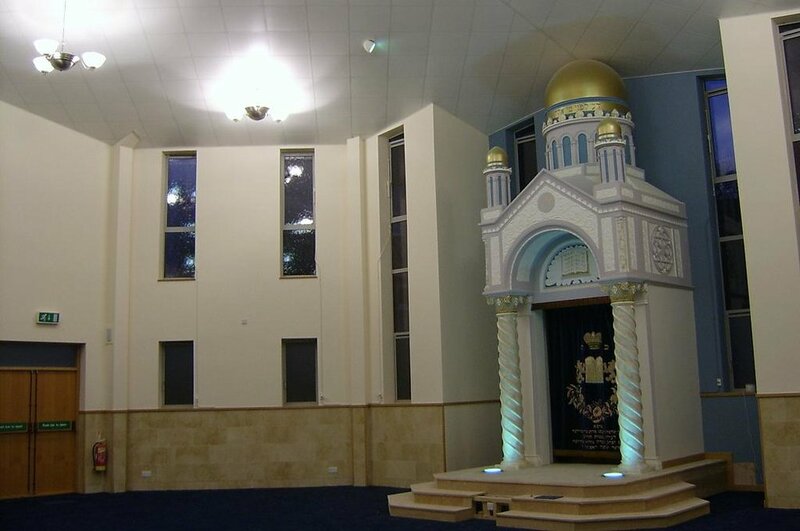 Part of the contract involved rebuilding, brick by brick a sacred ‘Ark’ which had been taken down from a synagogue in Glasgow and transferred to the new worship space. The "Ark" now houses ancient Hebrew religious scrolls.